Maeng Da kratom is one of the most sought after varieties of kratom in the United States? Why is maeng da kratom so popular? That’s an interesting question and one that we hope to help you answer. It’s important to note that maeng da kratom is not a standardized kratom product but rather a category. 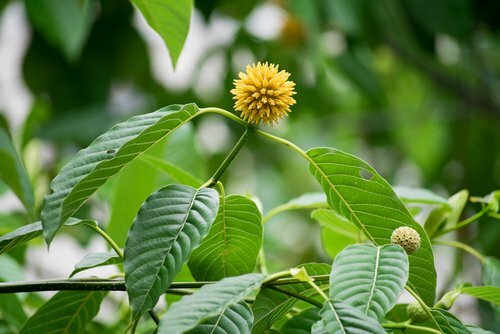 Read on to discover more information about kratom and the origins of maeng da. What does maeng da kratom mean? The literal translation from the Thai phrase “Maeng Da” is “pimp”. You may be asking yourself well what the heck does that mean?! This phrase is slang for “pimp grade”. In layman’s terms this simply means kratom that is very strong. So, maeng da kratom generally refers to a variety of kratom that has higher concentrations of alkaloids. The most abundant alkaloid in the kratom plant is mitragynine. Mitragynine may range from 0.0% to 2.0%. Depending on the source of the kratom leaf, and the vendor marketing it, maeng da kratom may have 1.4% or more mitragynine. Maeng Da Kratom is a variety of kratom known for its high alkaloid content. Are there different kinds of maeng da kratom? Kratom leaf products are generally categorized by the veins in the leaves of the plant. The three most popular categories are green, red, and white. Several vendors may offer gold and yellow. You may even find some really wild and clever marketing claims that there are purple and blue. The locals in Indonesia will tell you that there’s really just green, red, and white. These other colors are really just marketing hype and you would have a difficult time trying to get to the bottom of where the names originated from. Generally speaking, vendors will offer a maeng da variety of each vein color that they offer. So the answer is yes, there are different kinds of maeng da depending on the vein color of the leaves harvested from the kratom trees. So you’re probably wondering is the maeng da the best? Should I purchase it over the other strains? The answer depends on who you ask. Many kratom enthusiasts swear that one strain is better than the other. You may even hold this belief yourself. The truth is that strains can be variable and are not consistent from one supplier to the other. Kratom leaves grow from the kratom tree and just like you and me, each kratom tree is unique. Some trees will receive more sunlight than others. The distribution of rainfall during the different seasons will vary, the nutrient density of the soil that the trees grow in will vary…The list goes on and on. The point is that these kratom trees are growing in the wild and their environments are not closely controlled. For this reason alone you cannot expect a batch of a single strain to be consistently higher in alkaloid content. It will be different every time. The most important thing when selecting a kratom product is to make sure that the vendor uses quality control processes to ensure a quality product. So don’t focus too much on the strain!